Smart investors know one thing: it’s all about returns. So, in an age of stocks and bonds; gold and silver; oil and gas; and real estate, to name a few, there may be one overlooked investment: luxury watches. But we’re not talking any luxury watch. We’re talking one of the world’s most valuable brands, according to Forbes. We’re talking the Rolex watch. Take that one step further and we’re really talking about a preowned, pre-loved Rolex watch. Rolex watches are iconic. From James Bond to Wall Street, we see these watches as a symbol of status, success and achievement. Headquartered in Geneva, Switzerland, Rolex reached approximately $4.7 billion in sales last year. Now, we’re not suggesting you bet your children’s inheritance on the buying and selling of Rolex watches. If you’re going to spend money on an asset, make it something that you can actually use or wear, something that is timeless, and something that will at least retain its value. (In other words, that luxury car is not an investment. New cars lose up to 11 percent of their value the moment you drive it off the lot.) To put it even more simply, in late 2015, TIME.com ran the article, “Watches Are Bad Investments – With One Notable Exception”. The exception, of course, is Rolex. But Rolex watches are not just popular among Baby Boomers and Gen Xers. 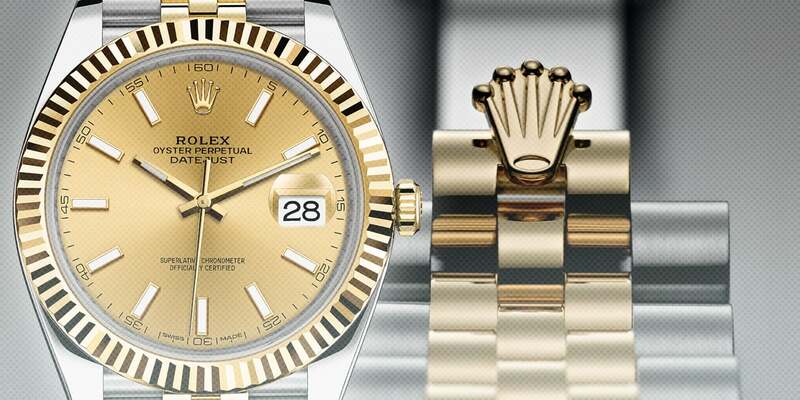 Forbes reports that Rolex is among the top 10 companies most respected by millennials. So whether you’re shopping for a gift for a loved one, or rewarding yourself for that new job or promotion, or even if it’s because you have an eye for beautiful, timeless watches, you simply cannot go wrong with a preowned Rolex watch. To make sure of it, BeckerTime proudly offers our clients the Lifetime TradeUp Guarantee program, ensuring you love your preowned Rolex watch through every phase of life. If you’re looking to purchase a preowned Rolex timepiece, BeckerTime is one of the world’s largest online preowned Rolex retailers in the world. We offer a large inventory of preowned timepieces and personalized customer service to help ensure you find the perfect watch at the right price! View our selection of preowned Rolex watches online today at BeckerTime and discover why Rolex retains its value and appeals to all generations.